I received this email from a priest friend in my diocese on April 29, 2017. After his short email there is my answer. Let us remain close and united in prayer, in particular in the Mass, as the disciples of Emmaus, sad, tired, disheartened and disenchanted but still capable to let their hearts be enkindled by the words of Jesus and to recognize Him in the breaking of the bread. Let us pray very much dear brother because with less prayer than ever before in the world and in the Church, and more sin than ever before (even worse, indifference as if sin no longer exists), we have given more power to our enemy to deceive us. “Satan disguises himself as an angel of light” (2Cor 11:14). I am very surprised at how many pastors do not do their fundamental work of warning the sheep about the hidden traps of the wolf: his beautiful lies presented as if they were the truth, the half truths – speaking only about mercy without saying as Jesus did, “Go and sin no more!” (Jn 8:11; 5:14)! A great number of fearful pastors do this in order not to offend anyone, to be “politically correct”, to offer (false) “love”, (false) mercy and (misguided) “compassion”! We pastors, who must be the doctors of the souls, instead we do not help the souls entrusted to us to help them to identify the grave sicknesses of their soul, mortal sin, not according to the TV, but according to the Catechism of the Catholic Church for adults (CCC). Did God give us the Ten Commandments (explained well according to the CCC, not according to the world!) for our true good or for our evil?!? “The Truth (of God!) will make us free” (Jn 8:32), or will it make us slaves? The “truth” of the world, of the “father of lies” (Jn 8:44), of “the prince of the world” (Satan) (Jn 12:31; 14:30), will it make us free or will it make us slaves? Do we trust God or do we trust ourselves, believing that we are pastors full of wisdom and intelligence in the new “modern church”? If a doctor does not seek to identify and to heal the sicknesses of the body with the justification to not agitate or offend his clients, he will lose his job. Instead we, with our silence, will lose our souls together with all the lay people who took the easier way together with us! “ ‘They are all dumb dogs, they cannot bark’ (Is 56:10) … If a religious leader is afraid to say what is right, what else can his silence mean but that he has taken flight? Whereas, if he stand firm in defense of his flock, he is building up a wall for the house of Israel against its enemies. And so again the sinful people are told: ‘Your prophets have seen false and foolish visions for you; they have not exposed your iniquity in order to provoke you to repentance.’ (Lam 2:14) …” (Pope St. Gregory the Great; Office of Readings; Sunday, Week 27 of OT). This is my motive for writing the articles on the Internet, for those of good will, to help unmask the “angel of light” (http://josephdwight.blogspot.com). But it is easier and more pleasing to our egoism to believe and to follow the beautiful popular lies. A pastor who warns the sheep today, by simply presenting what is written in the CCC, not just the easy things, will be persecuted today from the bottom (by the lay people who want a Christianity without the cross), and from the top (from the bishops who want to make happy the people instead of first making happy Jesus crucified, the objective Truth which is often uncomfortable)! This is what happened to Jesus forsaken 2000 years ago, to all the saints and the prophets of the Old Testament. The Body of Christ, the Church, will be crucified in this period of the “great tribulation” (Mt 24:21; CCC 677)! I am convinced that Jesus would say to a great number of priests and bishops today what he said to Peter: “Get behind me, Satan! You are a hindrance to me; for you are not on the side of God, but of men!” (Mt 16:23). At least Peter repented afterwards and matured to become a great saint and martyr! I have a great sorrow in my heart for the souls entrusted to priests and bishops who do not live and do not teach ALL of the Catechism of the Catholic Church for adults, even though they indicate that they represent the Catholic Church. 400 years ago the protestants left the Church; now the protestants remain in the Church and persecute and send away those who are faithful to the Truth which does not change with the world, “not an iota, not a dot, will pass from the law until all is accomplished” (Mt 5:17-18; 24,35). If these priests and bishops do not want to live the objective Truth, Jesus Christ (Jn14:6), explained by the Magisterium of the Church for 2000 years (not the magisterium of a pope), at least they should not bring with them so many souls to be separated from the absolute Truth (God!) in paradise for all eternity! 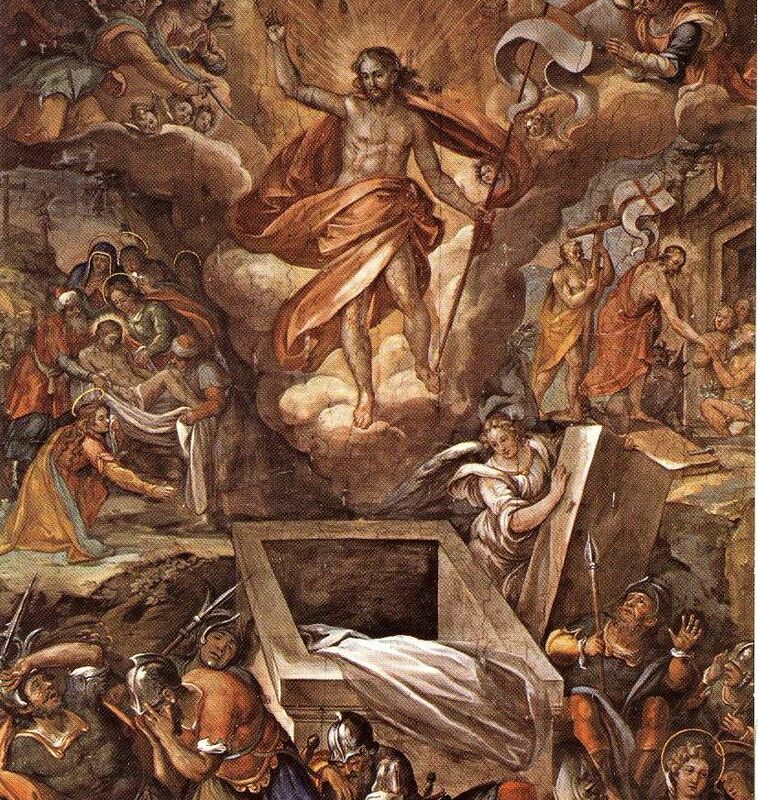 “The chief punishment of hell is eternal separation from God” (CCC 1035)! At our monthly meetings of the diocese for the permanent formation of the clergy (March 2017, on Amoris Laetita), in the small groups, I asked why is it that we hear only half of the truth, about mercy, but not the other part of the truth. Pope John Paul II and Pope Benedict XVI said and wrote many times: “ONLY WHAT IS TRUE CAN ULTIMATELY BE PASTORAL”! 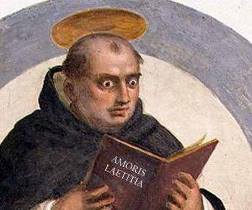 At a certain point a priest of over 70 years tried to convince me about mercy citing the passage of the Gospel about the adulteress. After he stopped talking I asked him, why is it that you did not say anything to us about the words of Jesus at the end of this passage, that is, “Go and sin no more”? I said to him, and before the other priests present in our group, that A HALF TRUTH IS WORSE THAN A LIE, because one believes to have received “the truth, the whole truth and nothing but the truth” (as is said in civil courts of law). Similarly the saints tell us that sins of omission are worse than sins of commission! I said that at the Angelus on the Fifth Sunday of Lent, with the Gospel of the adulteress (Jn 8:1-11), Pope Francis did not mention the traditional theme (cf. “Messale dell’Assemblea Cristiana; Centro Catechistico Salesiano; Editori: ELLE DI CI) that has been given to this Gospel passage: “Go and sin no more”! (“Angelus Domini 2016.03.13”; https://www.youtube.com/watch?v=mPNMk1N5ypc; https://w2.vatican.va/content/francesco/en/angelus/2016/documents/papa-francesco_angelus_20160313.html). Another older priest in our group, during this rather lively debate woke up, and he helped us remember what we studied in pastoral theology that the recent popes, in the world today, put us on our guard not so much about the lack of applying the “LAW OF GRADUALITY” but rather the great danger of the “GRADUALITY OF THE LAW”, which must be refuted in as much as it reduces the value of the law to a mere ideal (cfr. Esortazione Familiaris Consortio (1981), n. 34, 9; Humanae Vitae (1968), no. 28). Dear Father _____ , according to this type of “mercy” offered as a half truth, according to you, should we eliminate the phrase in the “Act of Contrition”: “I firmly resolve, with the help of Thy grace, to sin no more, and to AVOID the near occasion of sin” (sin according to God explained by His Church, the Magisterium of the Church, not according to the relativism of each person or of the world!)? Dear Father, _____ , let us pray and make many sacrifices, as priests, so as to be ready to welcome the great gift to die for our sheep and for Jesus, the Truth (Jn 14:6), which does not change with the world or with the “modern church”, in this period of great confusion and division in the Church, in order to purify the spouse of Christ, the Church. Jesus was a priest-victim on the cross 2000 years ago! “I am the good shepherd. The good shepherd lays down his life for the sheep” (Jn 10:11). Before the second coming of Jesus Christ “that day will not come, unless THE REBELLION (APOSTASY) COMES FIRST, and the man of lawlessness is revealed, the son of perdition, who opposes and exalts himself against every so-called god or object of worship, so that he takes his seat in the temple of God, proclaiming himself to be God. Do you not remember that when I was still with you I told you this? And you know what is restraining him now so that he may be revealed in his time. For the mystery of lawlessness is already at work; only HE who now restrains it will do so until he is out of the way. (Jesus as the Truth and Jesus in the Eucharist!)! And then the lawless one will be revealed, and the Lord Jesus will slay him with the breath of his mouth and destroy him by his appearing and his coming. The coming of the lawless one by the activity of Satan will be with all power and with pretended signs and wonders, and with all wicked deception for those who are to perish, because they refused to love the TRUTH and so be saved. Therefore God sends upon them a strong delusion, to make them believe what is false, so that all may be condemned who did not believe the TRUTH but had pleasure in unrighteousness” (2Thess 2:3-12; CCC 675). Alleluia, dear Father _____ ! Our great vocation is to share with Jesus everything, also his passion and crucifixion! 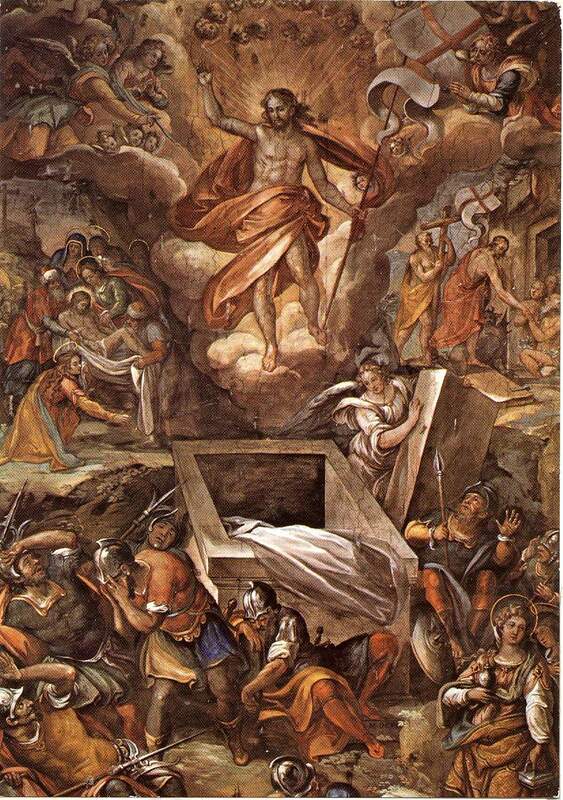 But afterwards the is the true eternal resurrection, the true EASTER! There is no resurrection without the crucifixion; there is no Easter without Good Friday! Pray for me and I will pray for you! Alleluia!